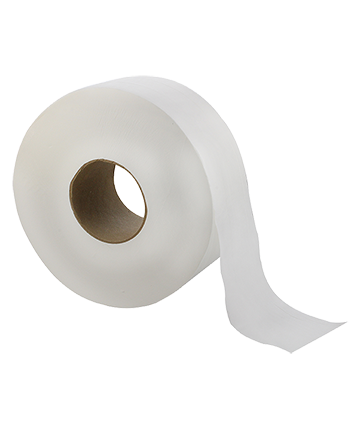 At WinPro we have a large selection of Janitorial Supplies in our large warehouse. And, if we don’t have exactly what you are looking for in stock, we can always special order products and supplies in which you can pick it up here or we will deliver to you directly. Contact us today to what we can do for you! This 2-ply, plain embossed jumbo bath tissue provides an improved sensory hand feel which gives the ultimate at-home look and feel. Luxurious softness, thickness and increased absorbency make this the perfect bath tissue for Class A office buildings and mid to upscale locations desiring an improved restroom image.